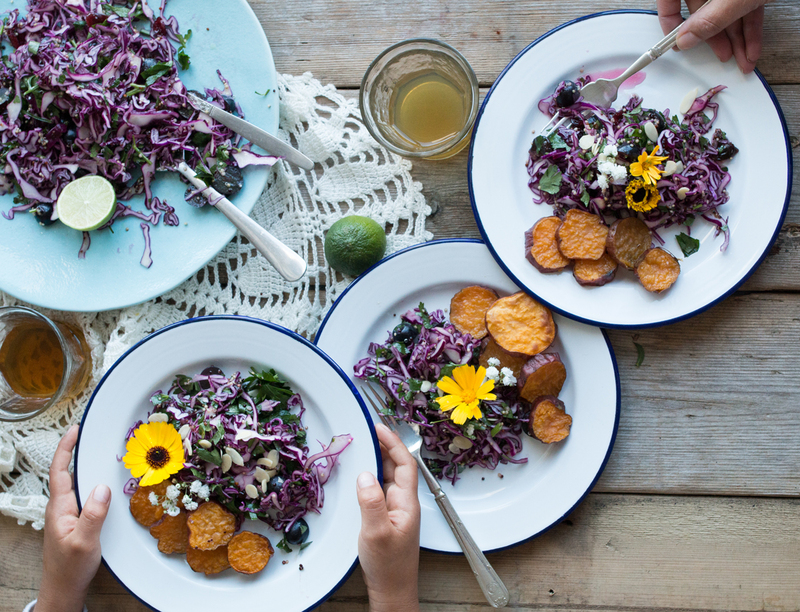 Bright, light and above all delicious, the Little Plantation’s red cabbage salad recipe with sweet potato wedges is ideal as a quick-fix for mid-week suppers or lunch with friends. First, make the sweet potato wedges by washing the sweet potatoes, cutting them into discs and boiling them in water with a pinch of salt for about 5-10 minutes or until they are just starting to get a tiny bit soft. Then, pour away the water, drizzle the sweet potato with some vegetable oil, place on a baking tray and roast them in the oven for about 20-25 minutes or until they start to brown around the edges and are nice and soft on the inside at 200C/400F. Next, prepare the quinoa by washing the grains and placing the quinoa in a small pot with water and salt. Cook for about 15 minutes or until almost all the water is absorbed and the quinoa opens. Drain away any excess water and set aside. Wash the red cabbage and discard any unsightly external layers. Then remove the stalky core at the bottom and with a mandolin thinly slice the cabbage and place in a large bowl. Add the cooked quinoa, the nuts (if using), seeds, chopped parsley leaves, pomegranate seeds (or dried fruit) and mix well. Finally, make the dressing by combining the maple syrup, lime juice and oilive oil and mix well. Pour over the cabbage salad just before serving and garnish with edible flowers (optional). 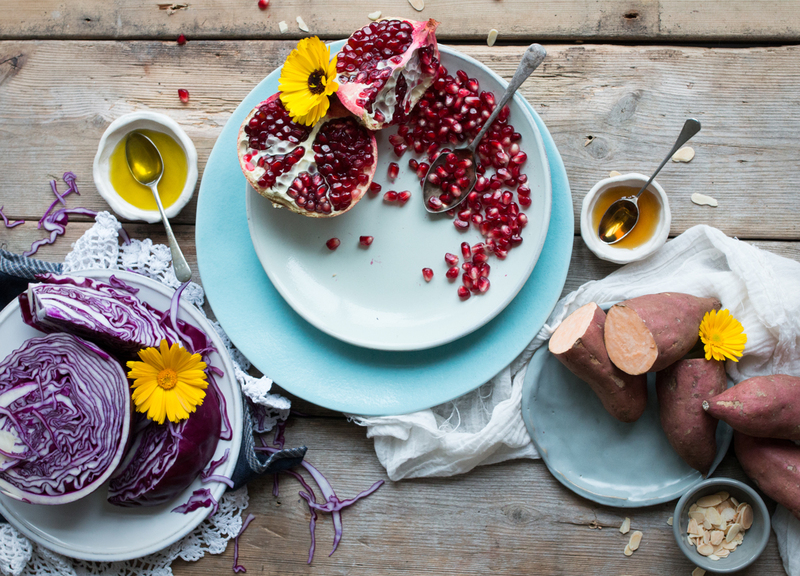 Serve with the sweet potato wedges and enjoy! 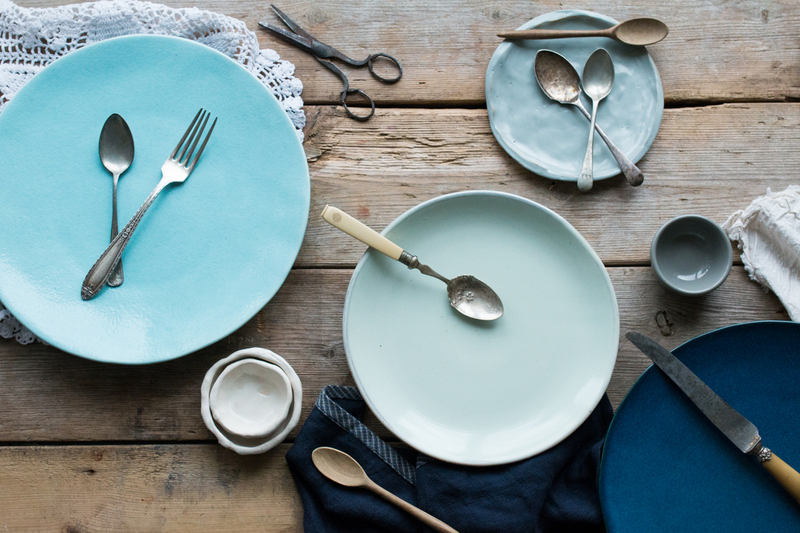 Visit the Little Plantation blog for more beautiful, delicious and healthy recipes and why not have a flick through our dining accessories collection to find the perfect dishes to match.